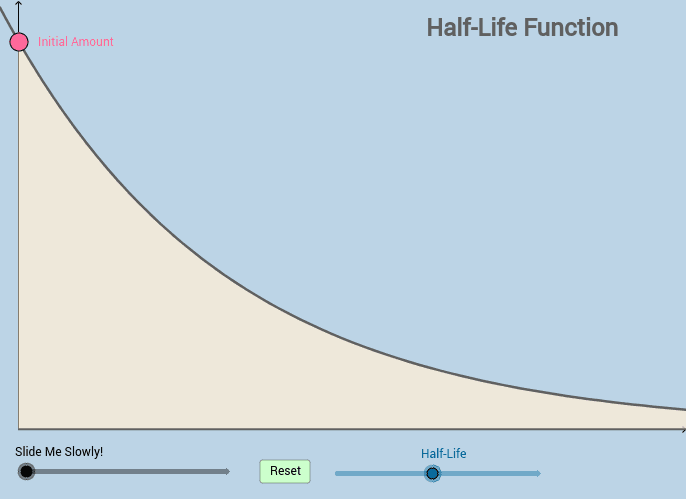 The half-life of a substance is defined to be the amount of time it takes for half of ANY AMOUNT of that substance to decay. The applet below dynamically illustrates this. Feel free to adjust the initial amount (pink point) -- when time t = 0. Feel free to adjust the half-life of the substance (at any time) as well.